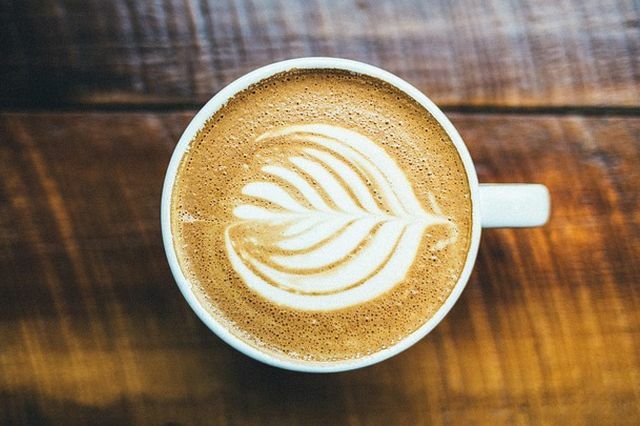 In this article, we pit two kinds head to head: latte vs. coffee. That is regular coffee. We’ll see the difference between the two types of drinks and why some people prefer ordering one instead of the other. The two are among the most popular drinks ordered in coffee shops. And the great thing about them is that you can make them at home. This gives you the advantage of being able to tweak the flavor to your preference, and not just rely on store bought coffee. Latte and coffee both are popular beverage drinks consumed by millions around the globe. The difference between these two are basically dependent upon the process by which they are brewed. Both of the drinks contain caffeine and hence are slightly acidic in nature. To better understand how these two popular beverages are different from each other, we must ask ourselves about what they are and how these drinks stand apart from each other. Coffee or say regular coffee is prepared from the roasted coffee beans which are seeds of berries from coffee plant. 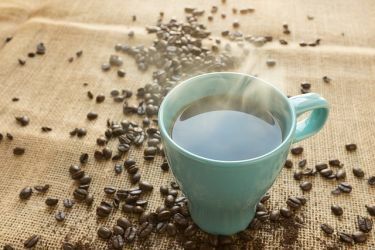 It can be prepared by adding right amount of coffee (which may be in form of beans or powder) which is then filtered with paper or mesh to give a cup of coffee. Both milk and sugar can be added as per preference. If milk is not added and only water and coffee is used, then it is known as Black Coffee. A regular coffee constitutes about 1% to 1.5% coffee while remaining part is water. Coffee is easy to brew and doesn’t require and special tools for its preparation and hence regular coffee is most popular and widely consumed. That said, there are a number of ways to make coffee. 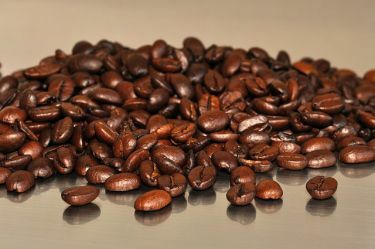 This can range from the super quick and convenient instant coffee that comes in a packet, all the way to you choosing the perfect coffee beans, grinding them to the coarseness you want, then brewing them yourself. You probably know how to make coffee. But did you know that there are a lot of ways you can get this done? The biggest advantages of brewing coffee yourself at home or in the office is that you can control what goes in and adjust for flavor. And, it’s much cheaper than buying it from the coffee shop. Latte is an espresso based drink with added steamed milk and milk froth on the top. An espresso is an unfiltered and concentrated coffee obtained by adding boiling water under pressure to fine coffee beans. As a result, the brew obtained is much more dense and concentrated than regular coffee. Hence to prepare a latte, an espresso machine (or a stovetop espresso maker) is required. A latte resembles like a foamy cream colored milk due to presence of milk foam on the top which can be used for making wonderful artworks. Below we’ve included a quick and easy to follow video on how to make latte. As mentioned earlier, you’ll need to be able to make espresso since that’s the base of the drink. You can do this with a good espresso machine or a stovetop espresso maker. Which One of the Two Contains Less Caffeine? Both latte and espresso are caffeine based beverages. 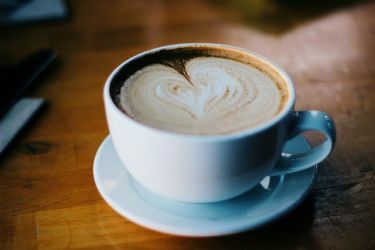 And for people who are cautious about their caffeine intake, you should have informed knowledge about which drink to choose to reduce caffeine consumption. Since latte is an espresso based drink it has less caffeine. And the addition of steamed milk further dilutes the caffeine content. Coffee meanwhile has a greater amount of caffeine content in it. So if you’re trying to limit the amount of caffeine you consume is your goal, then switching to latte is suggested. Here’s a quick summary on the differences between coffee and latte. They’re very related to one another being coffee drinks. But they vary in flavor as well as texture by quite a bit. Both coffee and latte contain caffeine and hence are acidic due to its presence. But since latte is an espresso based drink which this makes it contain a lower amount of caffeine. The addition of milk also dilutes the caffeine making it a better choice if you’re looking to limit caffeine consumption. Latte is of Italian origin where latte means milk and hence it is called caffe latte meaning milk coffee. Unlike regular coffee which can be served with just water, latte is brewed with espresso and steamed milk. Latte needs and espresso machine to be prepared there is no such restrictions in regular coffee. Latte and coffee can be easily distinguished by the appearance of creamy composition on top of the latte cup. 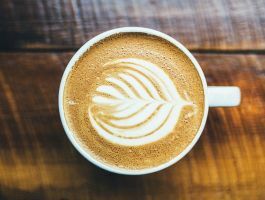 Latte has lower caffeine content compared to regular coffee.